A star-studded field of gallopers has been assembled for Thursday night’s Maidment Memorial (595m) at Sandown Park – the listed event carrying $15,000 to winning connections. 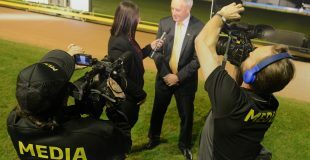 With six of the eight runners having lowered the magical 34 second barrier at the 595-metre trip, betting for the listed time-honoured event is sure to be spirited, with the headline act Dave Geall’s Melbourne Cup winning chaser My Redeemer, who will need to offset box six to claim yet another Sandown Park feature. One trainer under no illusions about the task at hand is Correy Grenfell, the young Victorian mentor lining up his star galloper Dyna Chancer from box eight, a wide draw not all that foreign to the son of Dyna Double One, incredibly drawing box five or wider at his past nine appearances. An eye-catching second in the recent Group 1 Sale Cup behind Neo Cleo, who also takes her place in Thursday’s Maidment with a picket fence of wins beside her name, Dyna Chancer has posted a blinding 33.88 for the Sandown 595m circuit, a time Grenfell concedes he’ll need every bit of – and possibly more – if he’s to claim a 21st race win come Thursday night. “Bad draws in big races is the dog’s life story so far,” lamented Grenfell this week of his rising three-year old. “His record overall from box eight is very good but from the bend starts he doesn’t seem to begin as well and in a race like this he’d really need to come out running with so much speed inside, otherwise he’s going to find it difficult to get across. 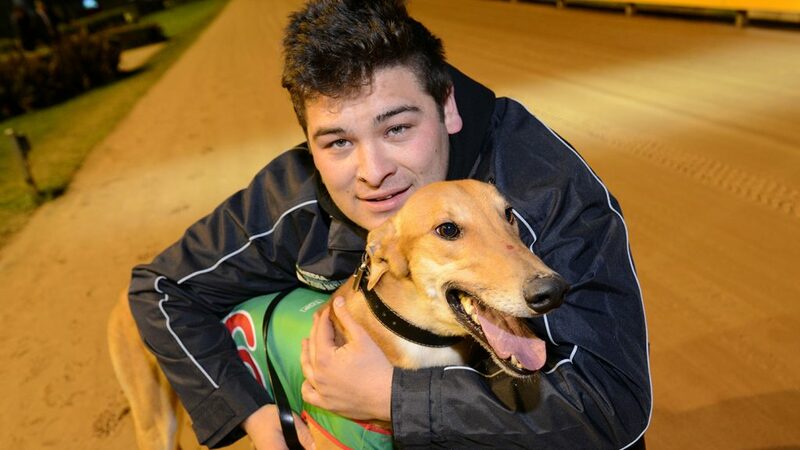 “If he can get across though he’s right in it, the dog is flying – I reckon we’re about to see the best of him now, he’s really matured around home and isn’t racing as green as he was early on, hopefully we can get some better luck along the way as well. Winner at 20 of his 55 starts and $137,000 in stake-earnings, Grenfell has earmarked an invitation in the upcoming Rookie Rebel (600m) or Zoom Top (725m) at The Meadows for his all-distance dynamo, before embarking on the Group 1 Australian Cup Series, alongside his hugely talented kennelmate Orson Allen. “He can’t draw a box either!” said Grenfell of his Group 3 Shootout hero Orson Allen, who has drawn box six in Thursday night’s Australia Day Sprint (515m) where he tackles Group 1 winners Barooga Brett, Hasten Slowly and Poke The Bear. “His win at Ballarat last week was huge, I’ve got no doubt he’s in the top five fastest dogs going around. “We’ve worked out he doesn’t perform at all when we fly him somewhere – which was the case in the Hobart Thousand and when we went to Brisbane so he’ll stick to the car now. The Maidment Memorial (595m) is race six at Sandown Park this Thursday, set to go at 8.49pm ESTD, while the Australia Day Sprint (515m) is race eight, penciled in for 9.28pm.